Search Results for "Window shopping"
Charming joyful multi ethnic girls with shopping bags looking at clothing store display on shopping street. Laughing shopaholic female friends discussing apparel near window display during shopping. 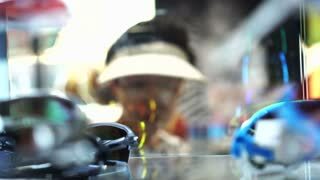 Cute boy and girl choose gifts at toy storefront. Two Caucasian children stand window shopping. Hattingen, Germany. 4K. LJUBLJANA, SLOVENIA - MAY 2014: SLOW Young Ladies With Bags From Shopping. Slow motion Ljubljana city life from car side window. LJUBLJANA, SLOVENIA - MAY 2014: SLOW People Going Shopping in Big Mall City Park. Slow motion Ljubljana city life from car side window. Happy young friends sit together at a small New York balcony, view from apartment window, using smartphone shopping app. 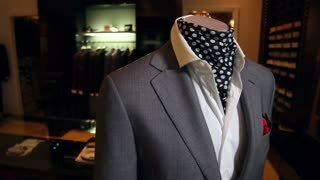 Stylish men's suit. Men's jacket on a mannequin. Men's Clothing. Mannequins in the window of the boutique. Clothing store. Shopping in boutiques. Happy beautiful smiling businesswoman in a subway train using smartphone shopping app standing at entrance door window. Handsome man using online banking from smartphone, doing shopping online with credit card sitting at cafe near window. Man and woman window shopping during the holidays as they stop and she points in a store window. Shoppers, mall-goers, and Sunday window-shopping people with blurred-out faces walking in a mall. Young attractive blonde woman doing window shopping. Beautiful teenage girl standing in front of boutique,looking at store front. Christmas holidays, lifestyle, sale and retail industry concept. woman window shopping in store.